Minutes of the Parish Council meeting held on Tuesday 26th March 2019 at Cranage Hall Hotel. Cllr M Hodge wished to pay tribute to Mr Peter Wild who unexpectedly passed away this month. He wished to recognise Peter’s zeal and commitment to matters of his concern in the community where he was a tireless campaigner. Thoughts are with his family. A resident was very concerned about Motor Cross activity by the side of the M6. It had begun to the east side of the M6 in 2011/12 but now had extended to the west side. She had received mixed messages from Cheshire East, but it had become apparent that there was no planning permission. The noise travelled and it had no hours of restriction as it seemed to operate on any day at any time. There were now four lanes operating; two each side of the motorway and the noise travelled. The resident wished there to be clarification of the permission as to date there was only a certificate of lawfulness on the CE portal. It was clarified that Cllr L Gilbert was involved. A resident wished to comment about the Parish Council paying for some lightening at the bowling club he thought the tenants should contribute if not pay in entirety by fund raising. Cllr R Hurst proposed some grammatical errors which were accepted. There was an amendment accepted due to no 23/19 being allocated. Resolved that the minutes of the meeting held on 26th February 2019 be approved and signed as a true and accurate record. The Clerk had made enquires and it seemed that the land registration documents could not be retrieved and hence the delay in the land being registered. Cllr RH and the Clerk were meeting with the Property Surveyor from the Department of Health and Social Care on 29th March. There had been an insert placed inside the newsletter to all the residents on Northwich Road to gain support for the reduction in speed to 40mph. There had been no feedback to date. There still had been no feedback from Mr Chris Hodgkinson Cheshire East – Cllr AK would try and resolve. Cllr MH reported his report was inaccurate at the last meeting it has only recently been passed to the barrister. Both parties had been advised that planning permission was required for the auction operating at the site on a weekly basis. The newsletter had been hand delivered since the last meeting.There had been one comment to date in relation to the highways report. It was agreed the Clerk would respond. The speaker had been confirmed as a representative from ANSA to speak about recycling. Resolved the Clerk will obtain two more estimates. The footpath immediately after the cottages on the bottom of the hill, heading towards the factory and areas of the path adjacent to the school house just before the turning for the football pitches both have a hedge overhanging, when coming down from Holmes Chapel towards the Riverside cottages. The main hedgerow still requires cutting back. There is an improvement to the bridleway running from Hollins Farm to the Hermitage bridge, in that the severe drainage issues encountered last winter does seem to have been resolved following the remedial work that took place. The final repair work on Hermitage bridge has been completed. A site visit still needs to be arranged to discuss the pitch drainage on the 11 v 11 pitch but note that this is not a major issue and the pitch has remained playable – there is just one area of standing water which is off the pitch. The 9 v 9 pitch is dramatically improved and without any issue. Resolved the Clerk would ensure this visit is actioned as the drainage works were expensive. There had been one response to the inspector (copy had been sent to the Parish Council) of which Cllr RH and the Clerk had responded to and this week three more responses had been received. It was noted that the deadline for comment had passed. Some issue had been addressed but some were still outstanding. Resolved the Security Policy was accepted by full council. Oak Tree Lane – Cllr AK had reported this site and planning enforcement were due to visit and make the necessary enquiries. Cllr M Cohen updated members that the application had been referred to the inspector. Resolved JDH Services Ltd would be appointed as the internal auditor. It was noted the balance of account = Leek United £30,488.46 + Natwest £31,549.16 = £62,037.62. Cllr AK would investigate the Motor Cross activity which was operating by the side of the M6 following on from the comments in the public forum time. 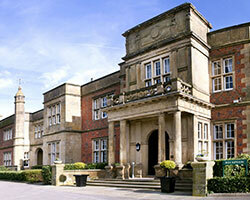 He would enquire with Mr C Hodgkinson CE Highways in relation to the hard standing outside Cranage Hall Hotel. Goostrey were trying to establish a Social Club for elderly widowed men which would be held in the Village Hall. There was a school nurse taking sexual health clinics being held at the Leisure Centre. Holmes Chapel Health Centre had applied for an extension for an extra 7 consulting rooms. This was to be proposed at the back of the surgery. He wished to make everybody aware about the ‘Blue Dot Festival’ being held in Goostrey, it was being held on the 50th anniversary of the first man on the moon. This had been circulated to members that day. 38/19 Chairman and Members Report. The Chairman reported on the conference to members. Cllr RH asked for this to be deferred as the family had not been available to meet. Cllr RH asked if everybody would please attend. The Clerk had returned 3 nomination papers from CPC. Cllr G Morgan had been unable to attend. 40/19 The next meeting would be on the 23rd April 2019 @ Cranage Village Hall.